Here’s a t-shirt quilt that I custom made for a two year old boy. The quilt is made from first year’s clothing! It’s bright and colorful and so much FUN to search for all the different things in the quilt top. 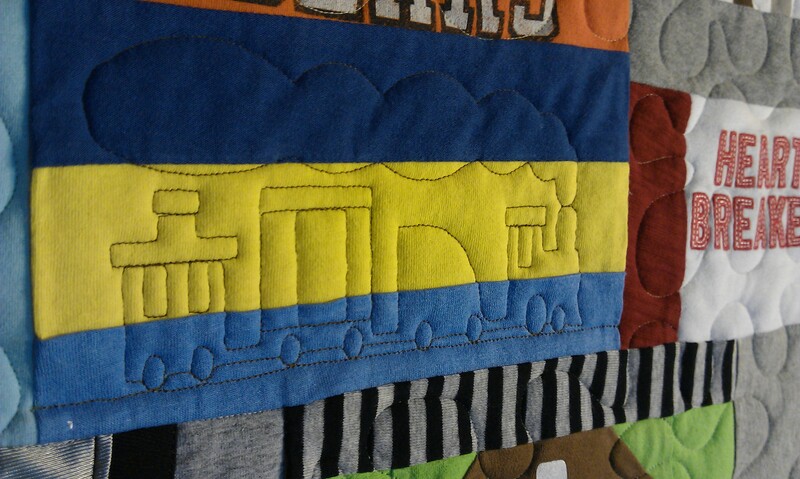 Quilted detailed patterns are incorporated into the quilt that are important to him right now…Mom and Dad’s names, choo-choo trains, trucks, school busses, his dog’s name and bottles and pacifiers. 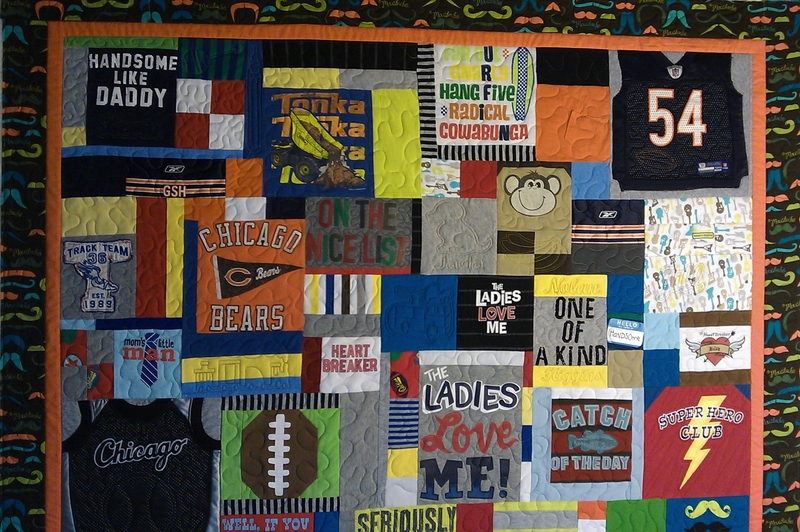 The quilt also contains a Chicago Bears T-shirt and a Chicago White Sox T-shirt with a football and baseball quilted on them. The moustache fabric is fabric that was purchased for use as a table cloth at his first birthday party…now it’s in the quilt to remember forever. Click here for a T-Shirt Quilt made of t-shirts and jerseys. Click here to get in TOUCH WITH ME TODAY if you need a memory quilt custom made…no two are alike! 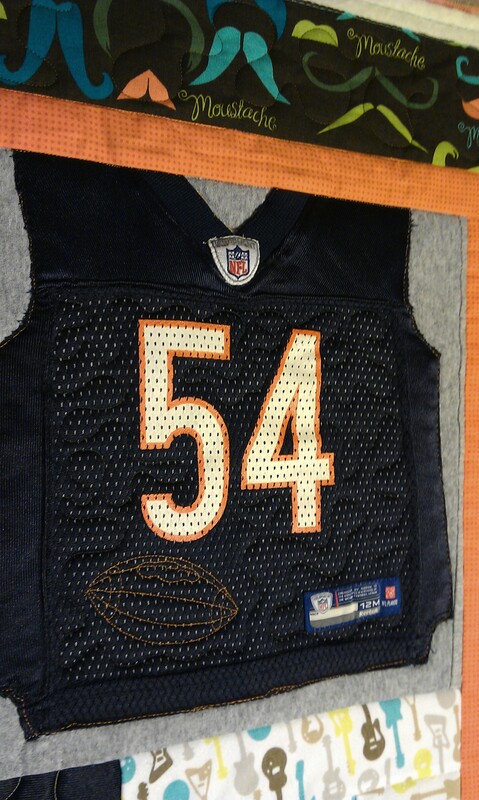 Have a quilt made from Harley Davidson t-shirts or a quilt made from school t-shirts and jerseys. I can make it from start to finish! All you have to do is provide clean clothing for me to use.